Global turmoil after seismic events such as Brexit and the election of President Donald Trump may push readers away from dystopian crime fiction to novels with a more comforting message, best-selling author Ian Rankin says. The Scottish writer has made millions penning dark tales of serial killers and murderous gangsters, but thinks the current bleak outlook for world affairs may be a catalyst for a shift in what readers look for in fiction. “I think this may happen — a move away from serial killers and bleak dystopian crime fiction towards something with a more comforting message,” Rankin tells AFP. “Maybe good will be seen to triumph and ordinary people will overcome crises in psychological crime novels,” he adds. It has been 30 years since Rankin first introduced his famous protagonist John Rebus in Knots & Crosses, where he is a Detective Sergeant investigating the Edinburgh Strangler, a serial killer who has been abducting young girls. As the brooding Rebus probed case after case involving shootings, prostitution, junkies and hit-and-runs, his books surged in popularity — and are now bestsellers on several continents. “People craved normality and stories of kind people helping each other,” Rankin says of McCall Smith’s success. He adds that he believes that fiction is currently more believable than real-life events, and readers would soon turn to books to provide a dose of comfort and stability. “Right now, the world seems so crazy and irrational that many novelists have difficulty trying to shape it into a coherent narrative. Fiction must be credible; the real world right now feels to me like the opposite of that,” the 57-year-old explains. But he insists he would not abandon his tales about the grim underbelly of Edinburgh for “kind and gentle” books. “I am too much of a cynic. Maybe my books will become wilder and more chaotic instead,” he adds. The writer has previously said it took him 14 years to make a decent living from his books. But he never considered stopping and despite forays into other genres, including comic books, an opera libretto, thrillers and film scripts, he says that he has stuck with crime fiction because “every theme… can best be explored with a detective”. “When I write, I feel like a child, playing games and having adventures with my imaginary friends in a universe where I get to play God,” he says. A criticism regularly levelled at the publishing industry is that it is too dominated by white authors but Rankin rejects the idea it is “white, male and stale”. “New voices are always being heard and crime fiction is leading the way. Recently there has been the success of Scandinavian crime fiction and this has led publishers to look at other cultures in search of the Next Big Thing,” he says. But there are no signs that Rankin’s worldwide popularity — he’s sold more than 30 million novels and his work has been translated into 22 languages — is dwindling in favour of younger writers. His 22nd Rebus novel will be published in autumn 2018. Asked why there is still interest in the recently retired detective after three decades, Rankin says readers like that he is a believable character. And will he ever be killed off? 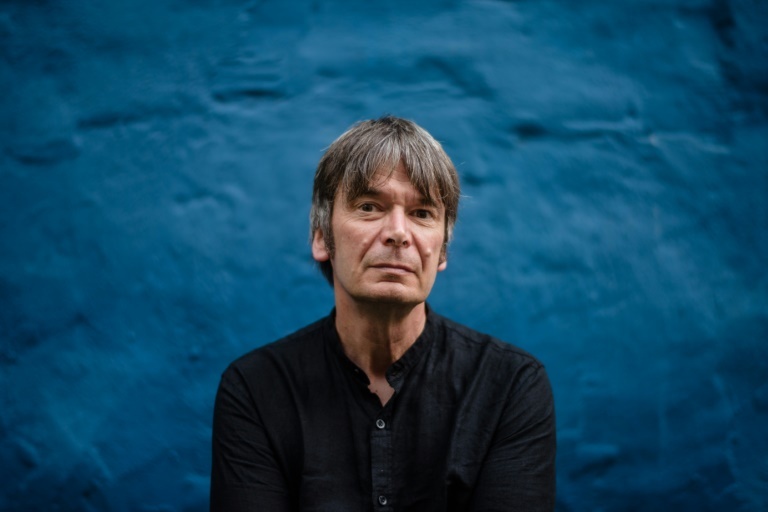 * Ian Rankin will be speaking at the 2017 Hong Kong International Literary Festival, which takes place from November 3 to 12.